Quick drying permanent Copper pen. Fine point 1mm Calligraphy Nib. 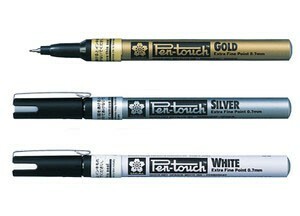 Gives a high quality metallic finish for borders and all traced lines.